Day 5 of the 2018 World Cup was one without any upsets and surprises. 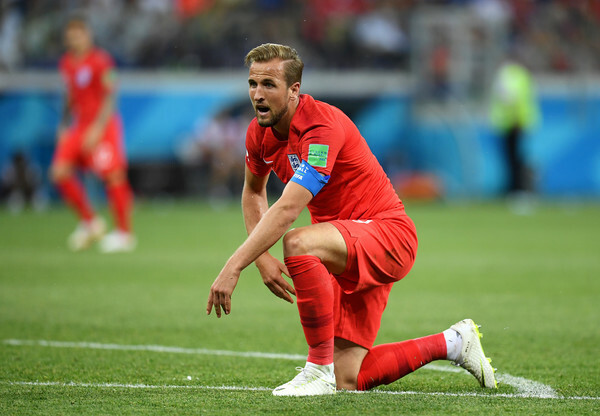 Sweden narrowly beat South Korea thanks to a controversial VAR penalty, Belgium put on a second half show against a super-weak Panama side, while England came out as winners for once, beating Tunisia in injury time thanks to Harry Kane. Nothing flashy, nothing spectacular, as expected. But Sweden’s physicality, strength and assistance of VAR helped them gain an advantage over Germany and South Korea with a small 1-0 win thanks to Andreas Granqvist’s penalty kick. 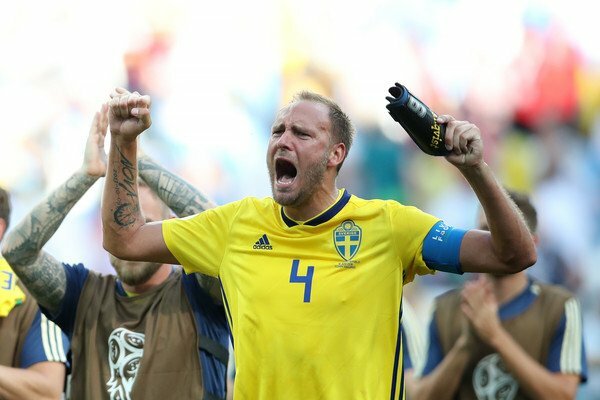 Sweden were the better team against what looks like one of the least talented and inventive South Korean sides we’ve seen in recent World Cup tournaments, letting everything that worked for them in the qualifiers and the playoffs lead them to an excellent pole position for the knockout stage. It might not be the kind of football that turns kids into football fans, but it’s probably the style that fits this squad the best. It took Belgium 47 minutes to figure out how to breakdown an old but feisty Panamanian side, but Dries Mertens realizing Jaime Penedo was out of position opened things up. From there, it was one fantastic assist by Kevin de Bruyne that got Romelu Lukaku going, followed by some razzle dazzle by Eden Hazard to help the Manchester United striker grab a brace. All in all, Belgium got what they came for – a decisive win that gives them a big lead heading into the final two matches, even if the one half in which Panama managed to frustrate them should be something Roberto Martinez keeps on his mind. In classic England fashion, the side managed to dominate early and then make things complicated against a much inferior side. Kyle Walker made a sort of foul which Wilmar Roldan was happy to give, unlike very similar fouls by Tunisia he ignored. 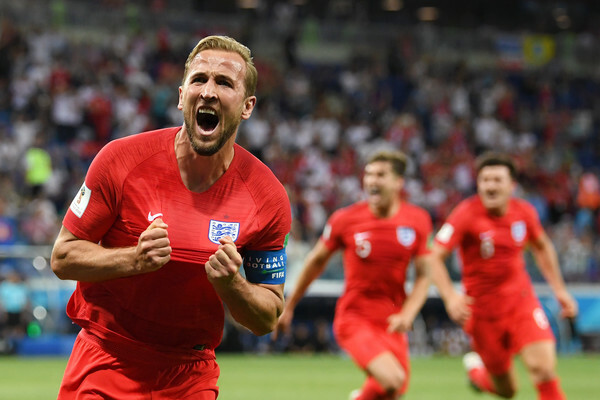 But Kane, now with 10 goals in his last 9 matches for England, was twice in the right place and in the right time, most importantly in the 91st minute, to connect with Harry Maguire and head the ball home. As we wrote on our Facebook page, this is incredibly England: A win that keeps and perhaps fans the flames of unrealistic expectations, while making it difficult enough for the critics back home to feed on. Two goals, including an injury time winner, helped Kane surpass another Premier League striker with a brace, Romelu Lukaku. Kane didn’t do much between his opening goal in the 11th minute and the one 80 minutes later, but the Tottenham superstar has made a name for himself for being clinical in the danger area, which he did perfectly when given the opportunity against Tunisia. 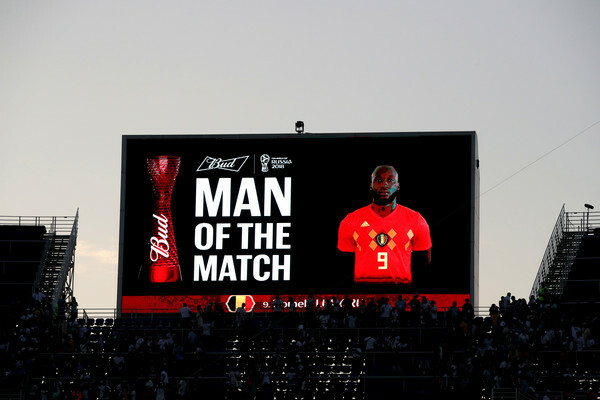 The first of Lukaku’s goals and the second for Belgium was our favorite, mostly for the flashy assist by Belgium’s best player – Kevin de Bruyne. 2 goals: Denis Cheryshev (Russia), Diego Costa (Spain), Romelu Lukaku (Belgium), Harry Kane (England). 1 goals: Artem Dzyuba, Yuri Gazinsky, Aleksandr Golovin (Russia), Jose Maria Gimenez (Uruguay), Nacho (Spain), Paul Pogba, Antoine Griezmann (France), Mile Jedinak (Australia), Sergio Aguero (Argentina), Alfred Finnbogason (Iceland), Yussuf Poulsen (Denmark), Luka Modric (Croatia), Aleksandar Kolarov (Serbia), Hirving Lozano (Mexico), Philippe Coutinho (Brazil), Steven Zuber (Switzerland), Andreas Granqvist (Sweden), Dries Mertens (Belgium), Ferjani Sassi (Tunisia).